Dispute avoidance is not generally on the mind of businesses and their in-house legal counsel until a dispute hits. 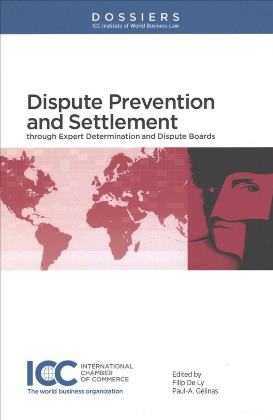 This book deals with the prevention of disputes and their settlement through two specific methods: Dispute Boards and Expert Determination. These two methods are often used by the international business community to reduce the risk of being involved in long and complex factual disputes. Specific topics dealt within the book include the challenges of Expert Determination in M&amp;A transactions, Expert Determination by Accounting firms including real-life examples as well as the 2015 ICC Dispute Board Rules, the settlement of disputes including under the FIDIC forms of contract and recent case law on Dispute Boards.